eG Enterprise goes deeper and deeper into the root cause and analyzes the problem which brings you closer to the solution. 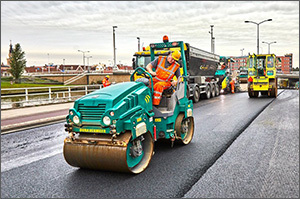 Dura Vermeer is one of the largest construction, engineering, and infrastructure services companies in The Netherlands. Headquartered in Rotterdam, the company is active in the residential, non-residential and infrastructure (road construction, civil engineering, rail construction and the environment). With 165 years of experience in the construction industry, Dura Vermeer has achieved many milestones in design and build innovation. The company undertakes over a thousand of projects each year ranging from a row of houses to motorways. For several years now, Dura Vermeer has used 'Building Information Modeling' for the realization and implementation of its projects. In collaboration with all parties involved, each project is initially built 'virtually' as a model and this virtual model becomes the blueprint for its implementation. This virtual building, also called 'BIMMEN', can be done in 3D (visually) but now also in 4D (with addition of statistics) or 5D (with the addition of schedules). Because everything is better organized up front, the efficiency increases during the construction process and the costs of failure decrease. Until a few years ago, IT was not significant for Dura Vermeer's business and employees preferred to spend as little time and energy as possible with IT tools and processes. This has changed significantly as the virtual building project requires a number of parties to work together and use IT tools. Furthermore, IT is also being used to support core systems of the company including administration and office automation. All of this has escalated the importance of IT infrastructure and application continuity and availability. IT is now crucial for all the primary business processes. Each BIM project requires collaboration, communication and data management across internal and external team members in architecture, engineering and construction, and to support this, Dura Vermeer has set up a private cloud using Citrix technologies. The entire set of Autodesk applications is available to the different teams using application virtualization. While this has greatly simplified deployment and accelerated rollouts, at the same time, it has become extremely important to ensure anytime remote access, fast user experience and seamless digital workspace performance. A well-functioning IT infrastructure therefore is vitally important for Dura Vermeer. When more and more performance problems arose and complaints from frustrated users increased, Dura Vermeer understood that they needed a monitoring solution – an early warning system – to alert them of issues before their projects and deliverables get impacted. Dura Vermeer found a perfect solution in eG Innovations' performance monitoring software, eG Enterprise, which provided the necessary IT performance insights, actionable analytics and proactive alerts to help diagnose performance bottlenecks and triage issues. eG Enterprise was set up to monitor all of Dura Vermeer's key IT infrastructure components and applications. This included all of the Citrix tiers – XenApp servers, StoreFront servers, and NetScaler appliances, as well as the supporting infrastructure tiers such as VMware vSphere and Citrix XenServer hypervisors, Microsoft SQL database server, file servers, application servers, web servers and HPE 3PAR storage system. The simple installation of eG Enterprise ensured faster time to value for Dura Vermeer. “An important advantage is that eG Enterprise is agent-based and configures itself. 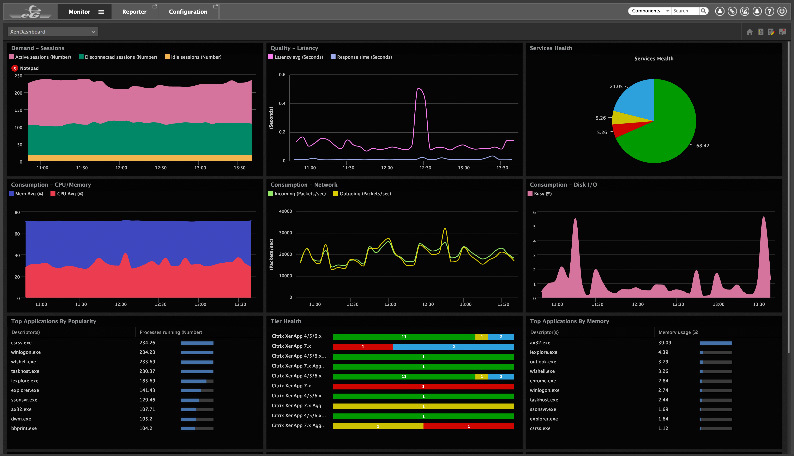 From the management console, you can indicate where to install the monitoring agent and what to monitor,” noted Sjoerd. Dura Vermeer is using eG Enterprise on critical components for 24x7 monitoring but also using agents selectively on other components for on-demand troubleshooting. Thanks to on-the-job training by INISI’s consultants, Dura Vermeer is making optimal use of the eG Enterprise solution. “Immediately after the implementation, we already had a much better insight into the performance of our servers and the stability of our infrastructure has improved considerably,” added Sjoerd.